Here's a selection of recipes to use up all that leftover turkey from Christmas or Thanksgiving including our famous recipe for Classic British Turkey Curry. During the party season what better way to dispose of all that leftover roast turkey than to make a spicy buffet? Combine these tasty kebabs with Aloo Tikki (spicy potato cakes), Onion Bhajis and easy Samosas and you have unusual and exotic party fare. I thought I would indulge in a bit of nostalgia and look back to my younger days when curry, for many Brits, meant re-heating the meat from the Sunday roast in a thick and sweetened curry sauce. This recipe is a modern version of an Anglo-Indian recipe from 1878. So you've eaten your Christmas dinner and there's a shed load of turkey left over. What to do with it? Curry it of course! And what better than a nice hot jalfrezi to warm you up at this time of year? 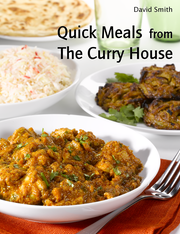 Many of the recipes are in PDF format so you will need the free Adobe Reader to view the files. Most computers will already have the Reader installed but, if not, you can download it free from Adobe by clicking on the logo.